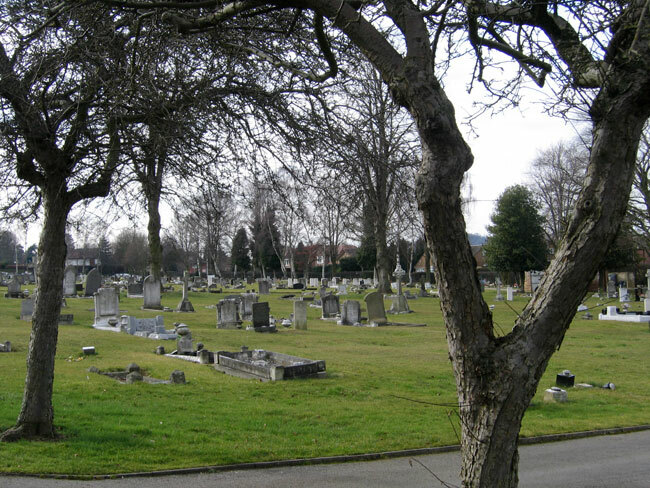 Beeston and Stapleford (Beeston) Cemetery, Notts. Beeston and Stapleford (Beeston) Cemetery, Nottinghamshire, contains 46 Commonwealth War Grave burials from both the First and the Second World War, as well as other non-World War graves in the care of the CWGC. 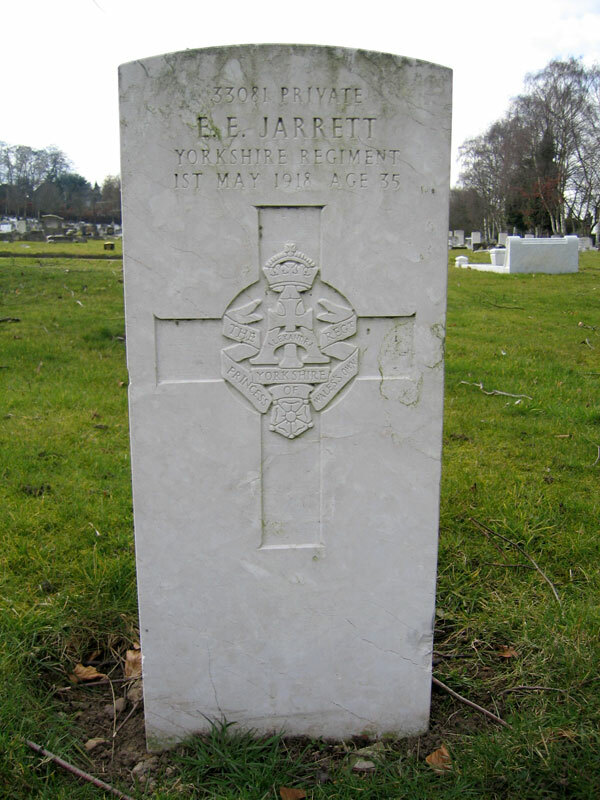 One of the First World War burials is of Private Jarrett of the Yorkshire Regiment..
We are extremely grateful to Richard Roberts (<richard@nosnailshere.co.uk>) who has forwarded the photograph of Ernest Edward Jarrett's grave in this cemetery. Details of Ernest Edward Jarrett, and a photograph of his grave in Beeston Cemetery are below. Beeston and Stapleford (Beeston) Cemetery. Ernest Jarrett's grave can just be seen in the crook of the tree on the right. Private Ernest Edward Jarrett. 33081. 5th Battalion the Yorkshire Regiment, formerly 3547 Northumberland Fusiliers. Son of Mrs. Eliza Jarrett, of Beeston. Died at home 1 May 1918. Aged 35. Born Beeston (Notts), Enlisted Beeston.